Moving your light can increase coverage by up to 30%. LightRail helps you maintain the correct intensity while running the light closer. You’ll also reduce shadow patterns, eliminate hot spots, get better yields and depending on your light, you may save as much as 23% per year all the while getting maximum results. You could be losing as much as 60% of your lights energy because static lighting lacks the ability to diversify itself by maximizing your plants energy absorbing surfaces at the correct intensity. 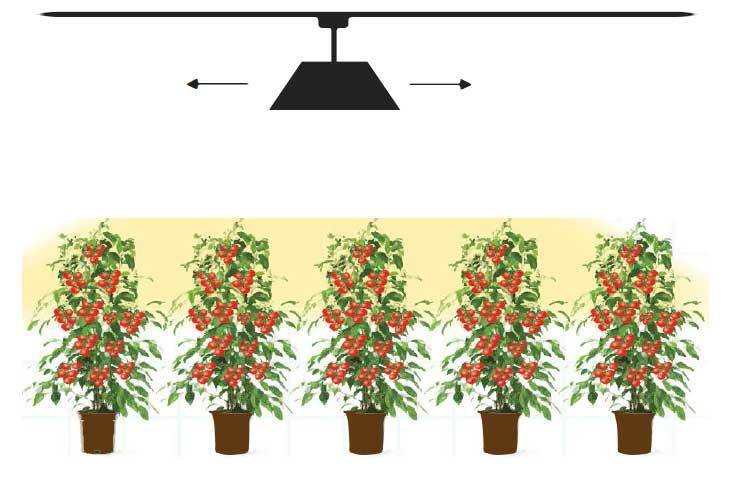 Moving your light offers considerable flexibility in terms of plant to lamp tolerance and “plant spacing. 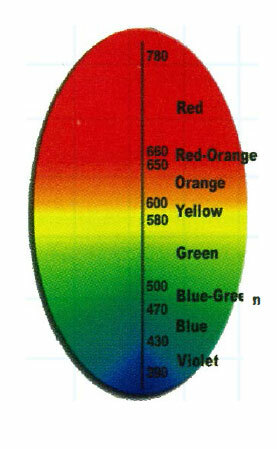 Provide light intermittently on more leaves during 40% of the photo period at the correct intensity, so the maximum LAI (Leaf Area Index) can be achieved. Give your garden even coverage; eliminate shadow patterns while maximizing the power of your bulb. Moving your reflector eliminates hot spots allowing you to run closer plant to lamp tolerances. Moving your grow lights offers significant advantages. By distributing light at a greater range of angles at the correct intensity more of the plant is covered during the photoperiod. So the maximum Leaf Area Index can be achieved. Simply put, a moving Grow Light helps more leaves absorb more light energy, and you benefit. 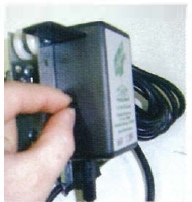 With a 2ft / 0.6 meter to 4ft / 1.2 meter per minute variable speed adjustment as well as a O to 60 second adjustable time delay, LightRail’s AdjustaDrive 4.0 digital circuitry gives you the ultimate in control, ensuring even growth throughout your garden. Are you losing as much as 60% of your light’s energy?